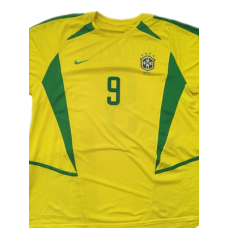 Brazil retro shirt home 2002 with number 9 and name Ronaldo. At the 2002 World Championships, Ronaldo surprised everyone with his great game, which he demonstrated in his best years in the late '90s, before the injury. From match to match he added, and in the final just knocked out the best player of the 2002 World Cup Oliver Kahn, deciding the outcome of the match with two precise strokes. 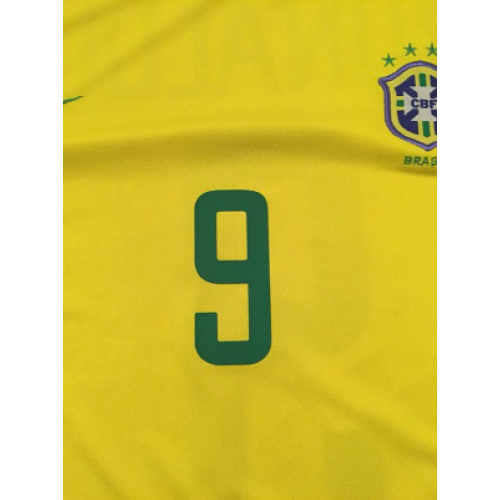 If the best football player of the championship was determined not to, and after the final, there is no doubt the best would be called Ronaldo, who became the eight goals the best scorer of the championship. And Ronaldo has scored them in the most decisive moments of the game. 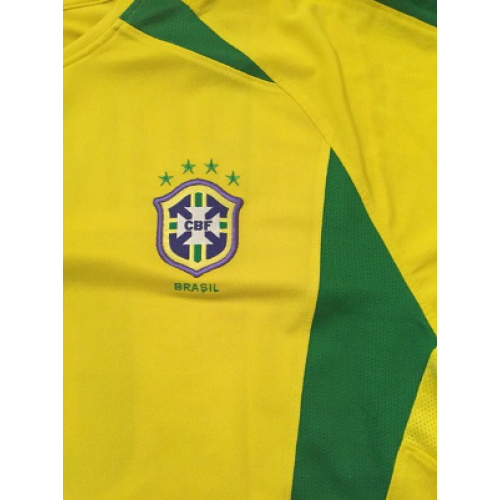 That goal for Ronaldo in the 1/8 finals the Brazilians played more relaxed and confidently brought the match to win. 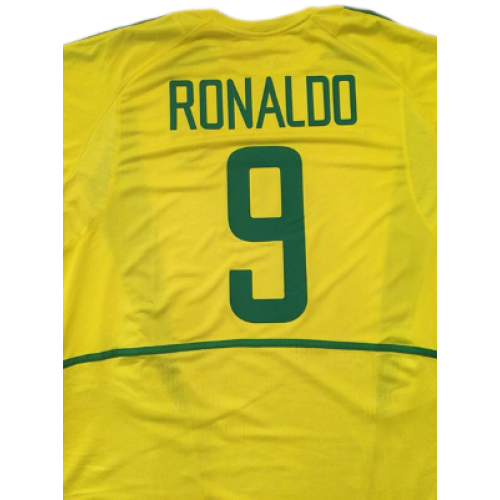 The folding nervous match with the Turkish team in the semi-final was a goal Ronaldo brought "selesao" in the final, and not by chance he was recognized the best player of the match (as well as the World Cup finals, of course). 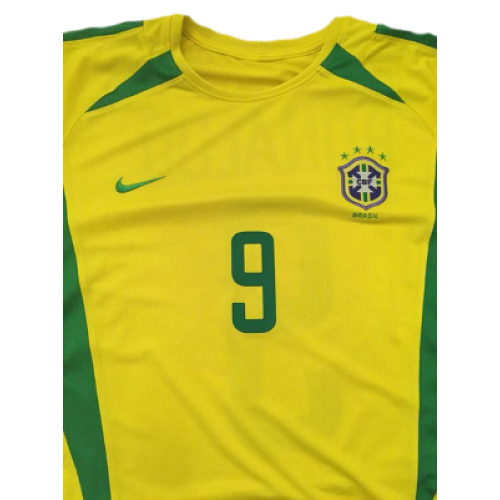 This Ronaldo Brazil shirt with number #9 from World Cup 1998 is an original classic footba..